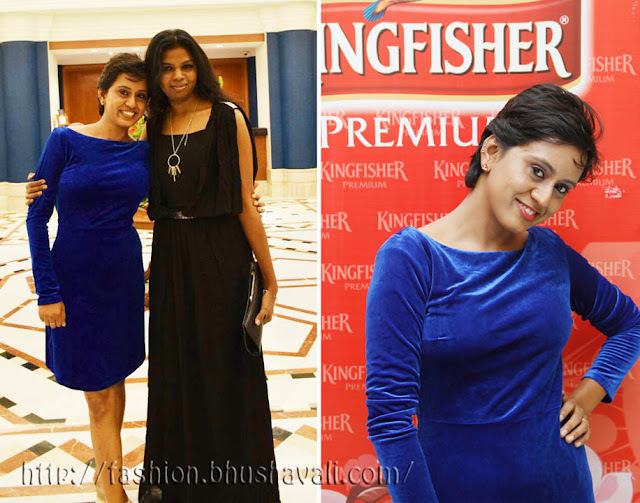 Chennai International Fashion Week 2015 - My outfits & crazy selfies! 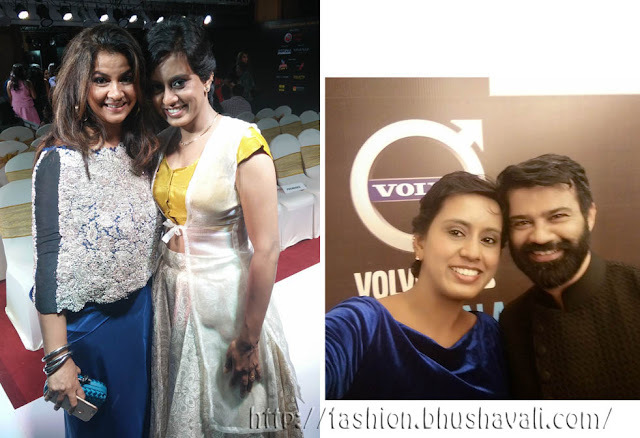 Wrapping up CIFW with my OOTDs & some selfies and pics with some lovely people! Unfortunately I could go only of days 1 & 2. Day 3 was the show of Rocky S which I really didn't want to miss, but due to some reasons I had to miss it! Beginning with an awesome photograph! Just after Manoviraj Khosla's show with his live band lead singer Behram Siganporia and showstopper Tapsee Pannu. I'm sooooooo happy!!!!!! And here's my outfit of Day 1. Since Day 1 had Hari Anand, I opted to wear an offwhite golden combo, his signature style, inspired by Kerala! You may have seen the skirt already here in my post-wedding outdoor shoot outfit, and the skirt in my wedding reception outfit. I decided to combine these 2 and wear a sheer coat atop in a shimmery off white fabric. Posing below with designer Hari Anand himself! Day 2 I wore the backless velvet dress, I've already worn in my Cannes dream OOTD and I actually wore it to CIFW! Not bad, huh.... Ofcourse I wore it with the black layering within. With me in the above pic another lovely blogger from Chennai, J.P.Sindhu. That's a craziness, a couple hours before the show starts. A few models chilling while few other models on practice session on the ramp. The photographers pavilion is always such a catastrophe with so many media and official photographers of the sponsors trying to find a spot to keep their cameras and themselves as well. Last pic if of choreographer Lovell Prabhu trying to get perfection during the dry run! 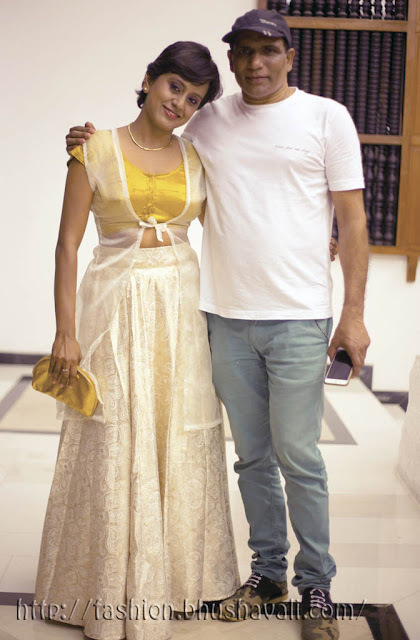 That's me with socialite Sneha Nayar who's wearing a gorgeous navy blue dress with heavy zardozi embroidered cape in silver, all by Anamika Khanna. The 2nd is a selfie with none other than The Chaitanya Rao himself! Photo credits: Pic 1, 2 and 2nd of Pic 4 are by Ashique Hassan. Pic 3 is by Dibin Jos, 1st of Pic 4 is by Kumutha. Rest by yours truly.